Valuable age defense counteracts the signs of time. Wrinkles, premature skin aging? That was yesterday. 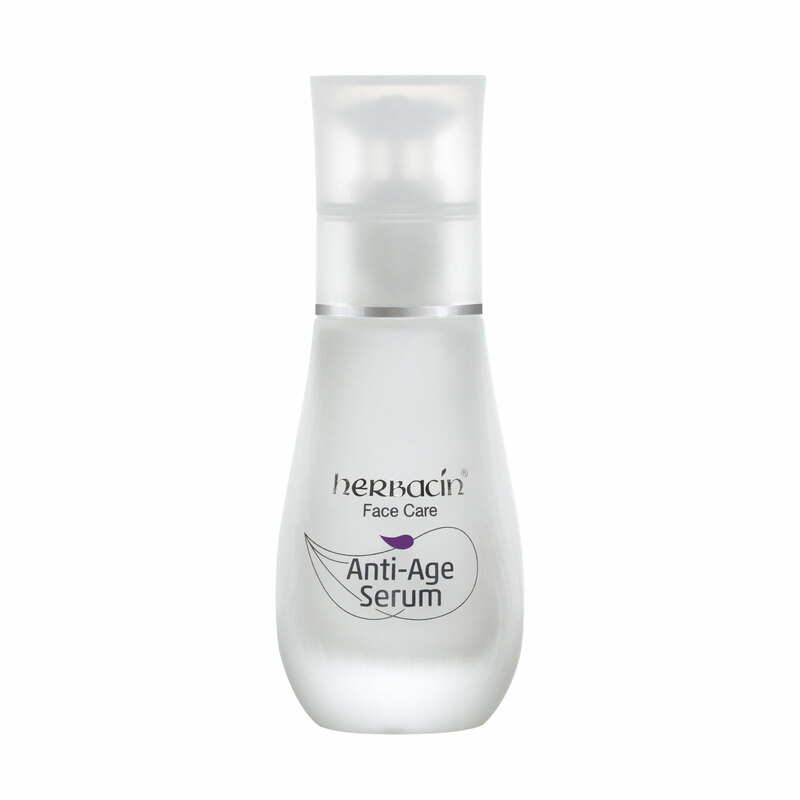 Herbacin Face Care Anti-Age Serum provides you with a vegetable ingredients base that not only efficiently fights environmental toxins and free radicals, but also the signs of time. Its innovative bio-active Herbacin complex in a well-balanced care formulation with finest lipids of sweet almonds and shea butter makes it possible: Highly-dosed hyaluronic acid in combination with naturally moisturizing booster from the extract of White lupine sustainably fill up the moisture depots of your skin. The Anti-Aging agent carnosine strengthens the cell membranes. This mixture of active ingredients in turn increases skin elasticity and visibly counteracts premature skin aging. The result: Your skin has recovered in no time and looks fresh and healthy again.